Gauge: An H hook should give you a 6” square. An I hook should make a 7” square. Using CA, Start with sliding loop (magic ring) or ch4/join. Round 8 (optional) – Join CA with sc in any corner sp, 2 sc in same corner, sc in each st across, *3 sc in next corner sp, sc in each st across; repeat from * 2 more times, join with slip st to 1st sc. Fasten off, weave in all ends. ANOTHER SUGGESTION: Work rounds 1 and/or 4 with 3rd color to make flower pop. 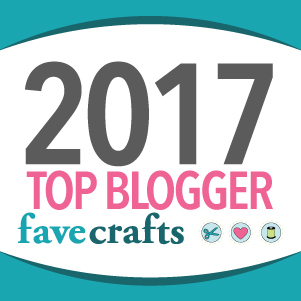 you've been nominated and won the Sunshine Blog Award for your blog and your selfless act in promoting others. I love it!! 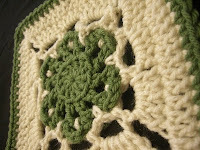 It is one of those patterns that looks like it wold take some work but it is soooo easy!! I love it so much I am going to make it into a scarf for my mother and aunt! I have been searching for a beanie hat pattern for my granddaughter who was trying to get one off of ebay from Hong Kong of all places. Well I told her I could probably find a pattern and make it. So lo and behold i found your pattern and the funny thing is it will be going to Washington, Joint Base Lewis Mcchord. Isn't that funny where you live? I went up there a couple of months ago to visit, its the first time I have been away from my four grandkids since the oldest was born 11 years ago and I couldn't stand it. So now I'm going back at Christmas, and hope to have a few hats done by then. 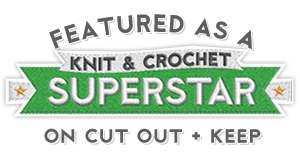 I wish my knitting was good enough to make them that way but I just never got good at it, so I must stick with crochet. Thanks for this great pattern. 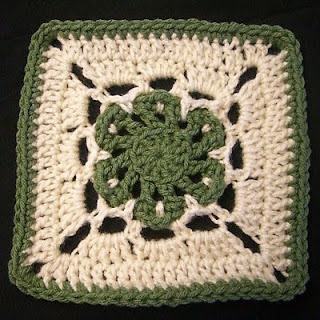 this is really pretty, been looking for a new granny square to try out!